If baking is not your forte, that shouldn’t stop you from enjoying a tasty dessert. 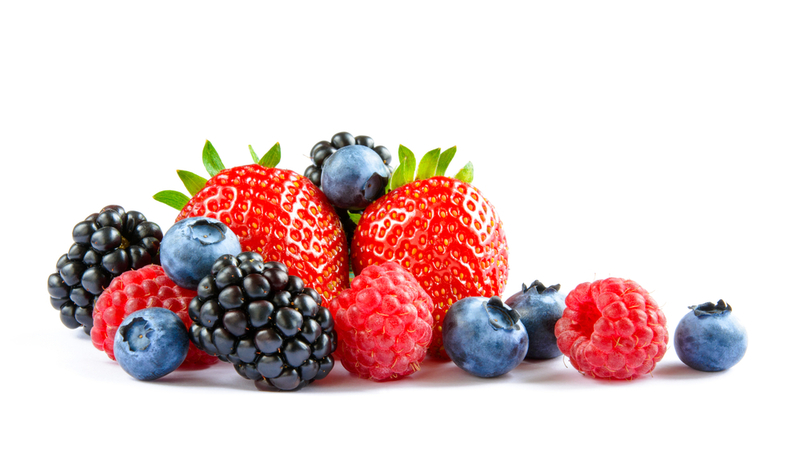 With today’s tortilla recipe, you’ll be enjoying some berry tortilla tarts in no time! Best of all, you won’t need any baking skills to prepare it as you can simply use a toaster oven! Let’s get started with the ingredients. 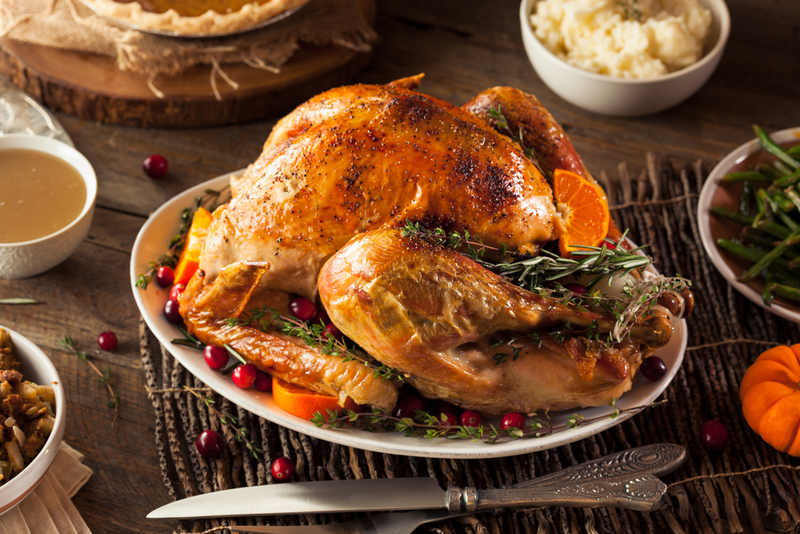 Begin by preheating your oven to 400º. Brush both sides of each tortilla with the butter and then sprinkle them with the sugar. In a clockwise motion, fold about an inch of the tortilla. Dab your fingertip with some water and wet the top of the folded section, making sure to firmly fold the edge down. Continue the folding so that you create an overlapping pattern. Press the folds down and place the top side down on a sheet tray. Repeat the process for the other tortilla. Grab a fork and poke a couple of holes in both tortillas to avoid bubbling. Cook the tortillas in your oven until they become golden brown, it should take about five to seven minutes or so. Flip them over gently and resume cooking for an additional five minutes until they’re crispy. Take the tortillas/tart out of the oven and allow them to cool. Once cooled, spread the ricotta on the folded side of the tart and then top it with the berries. Garnish with the mint and drizzle with the honey. 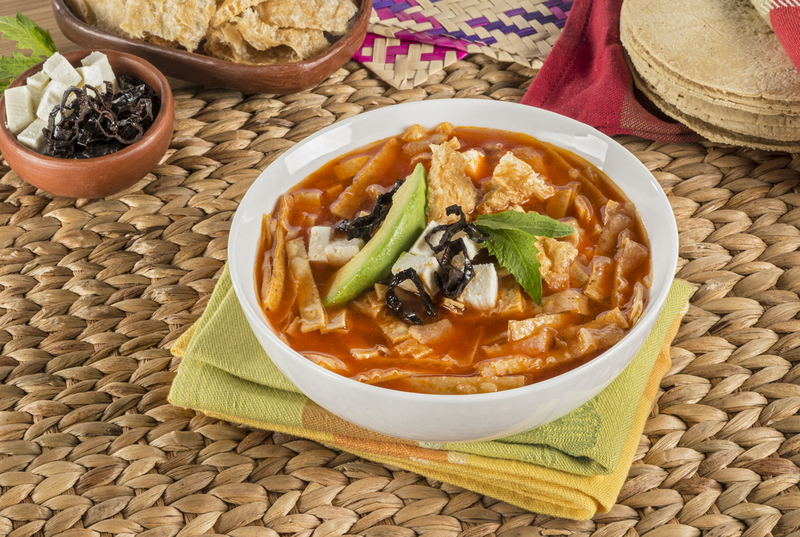 Last time we showed you how to make a delicious tortilla soup. Today, we’re again switching things up slightly and showing you how to prepare some equally delicious chili lime-spiked corn chips! These chips are free of oil, free of gluten, and they are vegan-friendly. Let’s get started. Begin by preheating your oven to 350 degrees Fahrenheit. Use a small bowl to mix the salt, lime juice, garlic powder, water, smoked paprika, and chili powder together. Place one of the tortillas on a cutting board and then use a basting brush to brush both sides of it with the mixture you just prepared. Place another tortilla on top of the existing one to create a stack and again brush both sides with the mixture. Repeat the process until all six tortillas have been stacked. Cut the tortilla stack into six wedges with a large knife as if you were cutting a pie or pizza. If you did it properly, you should have a total of 36 wedges once this step is done. Place these wedges on a pair of baking sheets covered in parchment so that they don’t touch each other. Bake the wedges for about ten minutes and then flip them over before baking for another eight minutes or so. If they’re golden and crispy, they’re ready to go. Simply allow them to cool and you’re ready to either serve or store them in an airtight container. Instead of focusing on tacos, burritos, or enchiladas like we usually do, we’re switching things up slightly by presenting a soup recipe, albeit one involving tortillas. Below you’ll find the ingredients and steps to prepare one in as little as ten minutes. Use a saucepan to heat the tortillas and broth over medium-high heat, making sure to simmer for a minute or two so that the tortillas become soft. Follow by adding the lime juice and salsa, carefully mixing in a blender for about a minute. Make sure that you don’t fill the blender more than halfway and don’t fully cover it either. Once the mixture is blended, return it to the pan, add the beans and chicken, and reheat for an additional two minutes on medium-high heat. Pour your soup into bowls and top it with the seeds, cilantro, the cheese, and the yogurt before serving. November is still a few weeks away, but today’s super simple recipe involves turkey; turkey wraps to be precise. Let’s begin with the ingredients. Begin by stirring together the pepper, mayonnaise, salt, chutney, and curry powder in a small bowl. Spread about a ¼ cup of the mixture on a tortilla for each wrap. Layer one-fourth of the coleslaw mix, turkey, cilantro, and peanuts on a strip about two-inches wide down the tortilla center. Fold the tortilla sides over the filling ends and then roll them up as if they were a burrito, making sure the filling is enclosed. Slice the wrap in half and you’re ready to serve. Bon appétit! 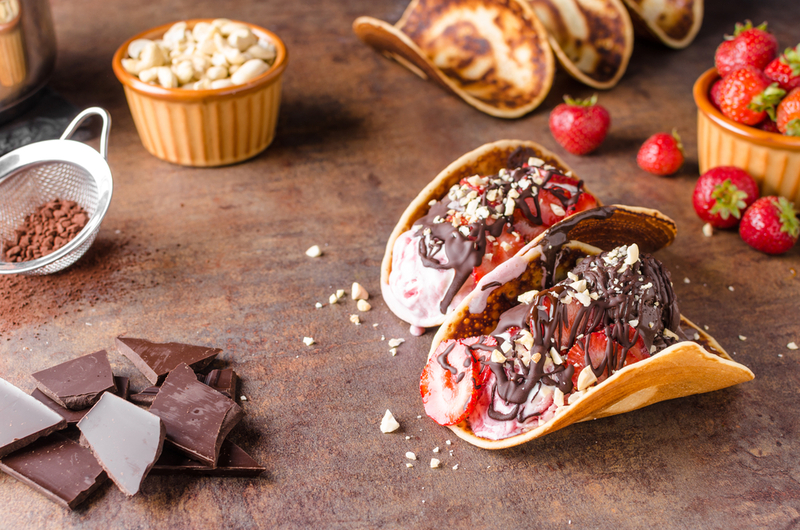 One of the many wonderful qualities of tacos is how well it can serve as a fulfilling dinner or a delicious dessert. Today, we’ll be focusing on the latter. Below you’ll find the ingredients and steps necessary to prepare delectable cinnamon apple dessert tacos that also happen to be vegan-friendly! 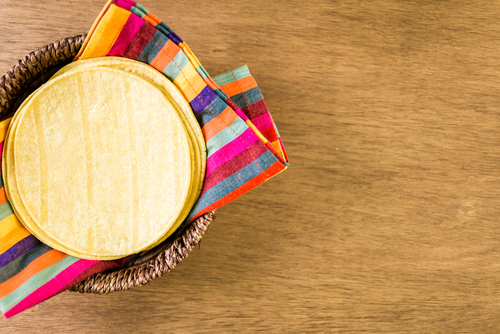 To prepare the taco shells, begin by using a small circle cutter on each tortilla. The size of it should allow you to cut out at least three circles from each one. Use a bowl to combine the cinnamon and sugar before setting it aside. Heat a cup and a half or so of the vegetable oil in a pan over medium-high heat. Use a tortilla scrap in the oil to determine whether it’s sufficiently hot; it should instantly begin to bubble. Use a pair of tongs to place a circle in the oil for about five seconds. Flip it over and fold it in half, leaving it in the oil until it becomes brown. Flip it over again and repeat for the other side until it’s crispy. Remove it from the oil, gently shake off any excess oil, and place the tortilla/shell in the coconut sugar mix you made earlier. Use a taco rack to allow it to cool before placing the shells in a muffin dome. For the filling, peel and dice the apples and then toss them with lemon juice. Stir the coconut sugar, butter, cinnamon and the apples together over medium heat and follow by adding in about a ¼ cup of water. Continue to cook for about four minutes. Stir a teaspoon of the cornstarch into whatever water you have left and add it to the pan. Continue to cook until the majority of the liquid is gone and the apples are soft. 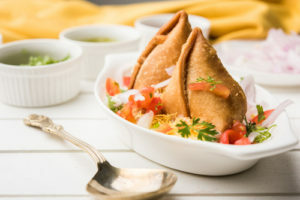 Do you like samosas? If so, we think you’re going to find this baked tortilla samosa recipe worthy of your time. Not only is it healthier, it’s also vegan-friendly and gluten-free too! Here’s what you’ll need. Begin by preheating your oven to 320 degrees and then use greaseproof paper to line the baking tray. Grab a pan, fill it with hot water, and place the potatoes inside. Cook them partially for about five minutes until they start to soften. Be careful not to overcook them or they may become mushy. Cut them down into cubes and then set them aside for now. Steam the carrots for five minutes or so and then do just like you did with the potatoes by cutting them into small cubes. Again, set them aside. Use a frying pan to heat the oil and place the onion inside until it becomes golden brown. Follow by adding the potatoes, carrots, salt, spinach, and marinade. Mix everything carefully and cook it for a few minutes before setting it aside. Use a small bowl to combine the flour and water, creating a paste. Grab one of the tortilla wraps and cut it down the center. Fold one side over and add some of the paste. Follow by folding the opposite side on top of the paste. The goal here is to create a glue of sorts. Fill up the samosa and then seal it up with additional paste before placing it on a baking tray. Brush the oil over each samosa and place each one in the oven to bake. This step should take about ten minutes or until the samosa becomes golden and crispy. This update or recipe is provided by tortilla manufacturer Easy Foods Incorporated. 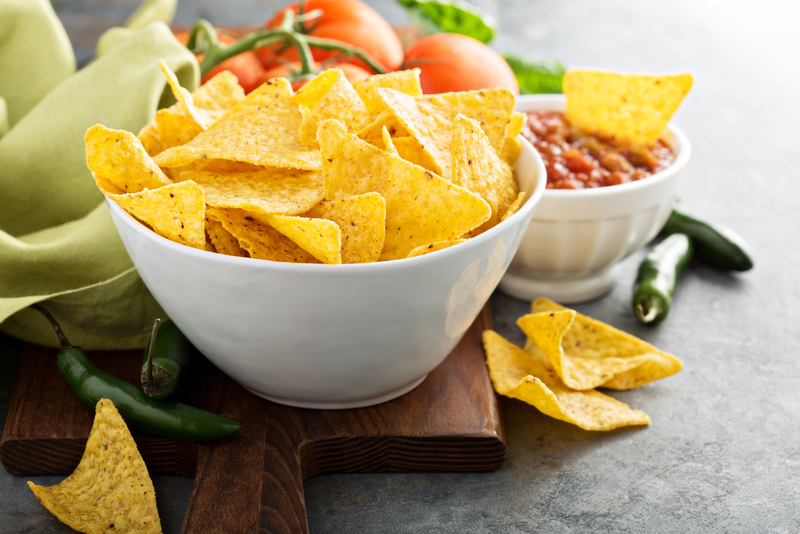 Our wholesale tortillas products include corn tortillas, flour tortillas, tortilla chips, and wraps. For more information on our services such as co-packing tortillas or brands like Tacomex and Vedgee or private label tortillas, please call 305-928-1593. Our business hours are 9 am to 5 pm Monday through Friday Eastern time and we are closed on weekends. Corn tortillas are numerous and finding the best ones can sometimes become a mission of sorts. To help you find a fine set of tortillas, we have a couple of tips to keep in mind the next time you’re out shopping. Examine the packaging. We don’t necessarily mean the design, either. If it’s visible, check the packing date to see how fresh the tortillas are. The closer it is, the fresher they are. If the tortillas were packaged somewhere nearby, there are better odds the tortillas have not dried out on their way to the store. Get a feel for the tortillas. Grab the tortilla package and gently feel them. Upon flexing the package, your tortillas should be able to bend without any of them sticking together. That’s one way to ensure your tortillas are nice and fresh. The package should also be free of moisture and there should be no hard or cracked edges on any of the tortillas. Consider the store. You’re much more likely to find better tasting—and more authentic—tortillas if you purchase them from a Latin market or at least a store that has an aisle dedicated to Hispanic food products.